Now I really hope I don’t put you off your breakfast, but yes that is a picture of me. 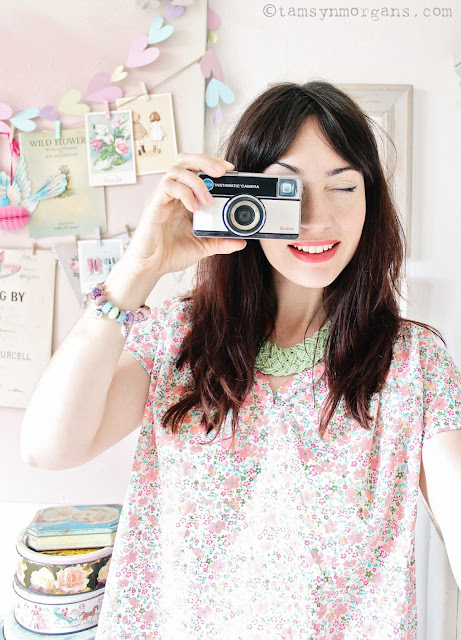 Pretending to take a picture with my cute vintage Kodak camera I picked up for £1 at a car boot fair, and wearing one of my cute Liberty print by Uniqlo tops that I treated myself to the other week. 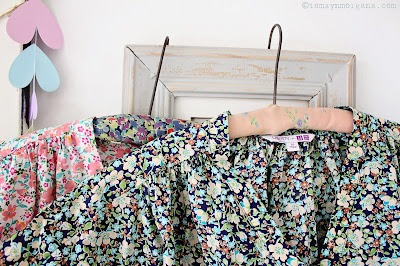 They were just under £20 each which makes them a complete bargain, and a must have for my summer wardrobe. I thought that rather than just hanging them on the wall like I usually do to take some snaps to share with you, I’d actually venture into the world of showing the face behind the camera for a change! Trying to take a photo of yourself can lead to hilarious results and this was the best of a bad bunch, but I thought it would be fun to challenge myself a little. I have a little remote clicker, which is why my left arm is out at a funny angle – it only operates at a certain distance from the camera (e.g. really close!) so if anyone has any tips on taking a self portrait, they would be gratefully received! 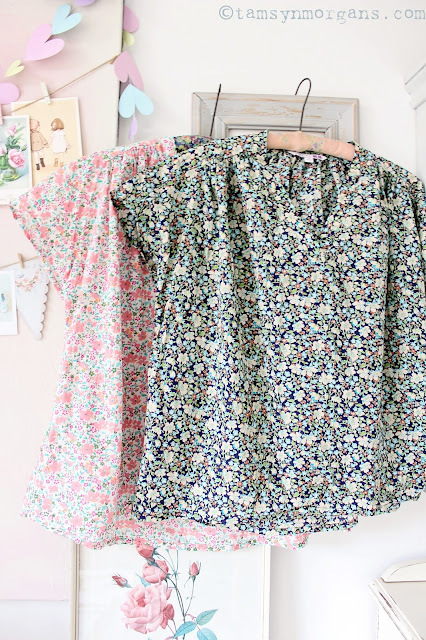 The coat hangers were found by rummaging through a box at one of the house clearance stalls last weekend at the car boot, and the are both covered in vintage fabric, one of which looks suspiciously like Liberty print, which made it perfect for this little project. A note on the tops if you plan on making a purchase – they are very generously sized! I’m a UK size 12 and I went for XS. I am now away on the South coast in the caravan with the children for a few days which we are so excited about. We arrived yesterday and the sea breeze and blue skies were very welcome after the long queues we sat in on the M25 in the midday sun. I have however been very organised and have a post lined up for you every other day this week so please do pop back!